Burglaries of homes in Horsham have almost doubled, according to the latest police recorded crime figures. There were 393 household break-ins during the 12 months to the end of September last year, according to the latest figures from the Office for National Statistics. That is up by 92.6% on the previous year, when 204 incidents were recorded by police. Some offences go unreported while others may be more numerous due to a change in the focus of the police or greater public attention. However it did say there appears to be a genuine rise in burglary as it is a crime that’s “relatively well-reported by the public and relatively well-recorded by the police”. Overall police recorded crime in Horsham has increased over the last 12 months. During that period 6,066 crimes were recorded, up by 13% on the previous period. That means that 44 out of every 1,000 residents experienced a crime during that time, below the England and Wales average of 79. Over the recorded period there have been 2 homicides, which are murders or manslaughters. In Horsham theft, one of the most high volume crimes, has increased by 16%. Drugs related offences dropped by 11.7%. Criminal damage, which includes arson and vandalising cars and houses, has gone up, from 786 incidents in 2015 and 2016, to 814 in the latest figures. 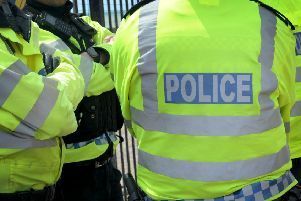 While violence with injury, which includes assault, GBH and wounding, has risen, this could just be due to improved police recording as opposed to an increase in incidents. Similarly sexual crime statistics are hard to judge as many more victims are now coming forward. In Horsham there were 231 incidents recorded from October 2016 to September 2017, a 33% rise on the previous 12 months, when 174 crimes were reported. The report said that given the factors, which include victims of historical sexual abuse coming forward to report old crimes, it is hard to reliably interpret these figures. Bill Skelly, the national policing lead for crime recording and statistics, commented: “Today’s police officers are dealing with more complex crime, more safeguarding and protecting vulnerable people and an unprecedented terror threat, as well as tackling some of the genuine rises in knife and gun crime, robbery, burglary and vehicle-related crimes which turn the trend on many years of reductions. Policing Minister Nick Hurd said the ONS “is clear that overall traditional crime is continuing to fall, and is now down by almost 40% since 2010”. But he acknowledged that “some of the increase in police-recorded violent offences is genuine”. Mr Hurd said the government is taking “urgent action”, pointing to tough new laws to crack down on acid attacks and knife crime and a new strategy to tackle serious violence. Labour accused the Tories of “failing in a basic duty to protect the public”.